The Gatehouse Veterinary Rehabilitation Centre in Glasgow, is no ordinary veterinary surgery. The centre treats referred animals from several practices to provide specialist treatment and is housed within a unique setting. When Veterinary Surgeon Cheryl Corral first came across the centre she fell in love with the high ceilings and VELUX roof windows but soon realised the amount of glazing could cause problems with overheating. The centre was often cold in the winter but hot and muggy in the summer, and the old pine roof windows did not cope well with the moisture in the air. When the time came to replace their VELUX roof windows, Cheryl spoke to the VELUX daylight experts for advice to pass onto their builders. Assuming they would be replacing the old pine roof windows like for like, Cheryl was happy to discover the many options available to the centre, and chose to upgrade to brand new VELUX INTEGRA® White Polyurethane roof windows. Cheryl liked that the new roof windows have the same timber frame but are encased in a white polyurethane mould, making them maintenance-free and moisture resistant - ideal for the humid environment of the centre, meaning they could avoid problems with mould and mildew. 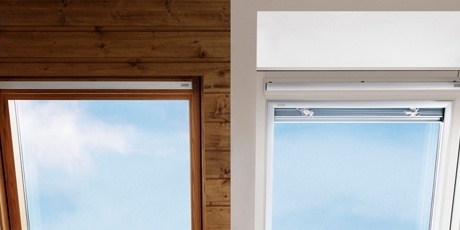 The decision to go with VELUX INTEGRA® roof windows means the centre can control the temperature and ventilation at the touch of button, as well as benefitting from the peace of mind that the rain sensor will automatically close the windows if they forgot to. As the current roof windows did not incorporate blinds, the centre hadn’t realised the potential benefits. However, when Cheryl discovered how much VELUX blinds could help with the control of light and temperature she decided to go for electric-operated pleated blinds internally, and electric-operated awnings externally, all of which could be operated from the same remote as the roof windows. All four roof windows were replaced from the inside within a day, allowing the centre to continue to rehabilitate their furry inhabitants without disruption. We ask one of our own technicians everything you wanted to know about replacing your VELUX roof window. 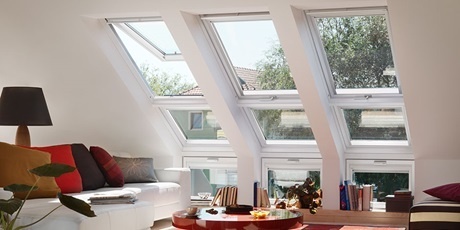 Use our replacement configurator and find your new VELUX roof window in 5 easy steps.